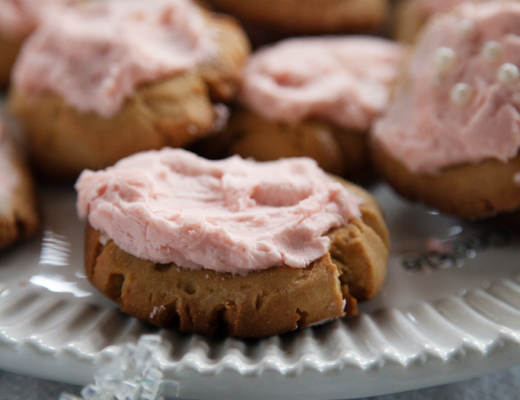 *This recipe originally published on July 7th, 2016, and updated on June 21st, 2017, with improved measurements and ingredients. 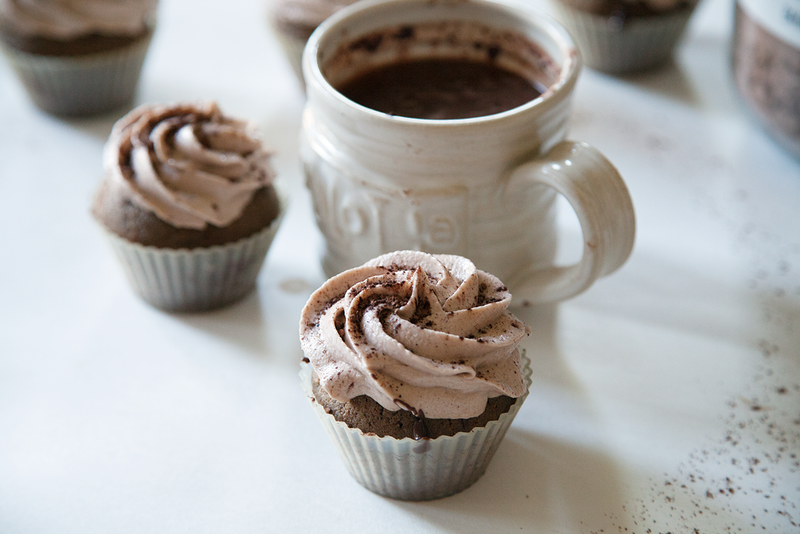 If you wish to see the original recipe, please contact me. As much as I love salads from Whole Food’s, nothing really beats a good ol’ homemade salad. I threw together this shrimp salad a couple days ago, I couldn’t resist taking a couple pictures and share this with y’all! What I love about salads is that you can customize it however you want to make it how you like it, and there are no exact measurements and ingredients needed to make it perfect. I just gathered up a few of my favorite salad toppings (shrimp, avocado, feta, etc. ), and tossed it in a few of my favorite greens, along with a lemon salad dressing. Because salads are versatile, healthy way to satisfy any craving, you can easily switch out any of the ingredients that you don’t like! Here’s a fun fact about me that basically everyone nags at me about: I don’t do salad dressing. I just don’t. Believe me, I’ve tried to ease myself into tolerating things including (but not limited to): honey sriracha, peanut thai, blue cheese, and even dijon mustard. 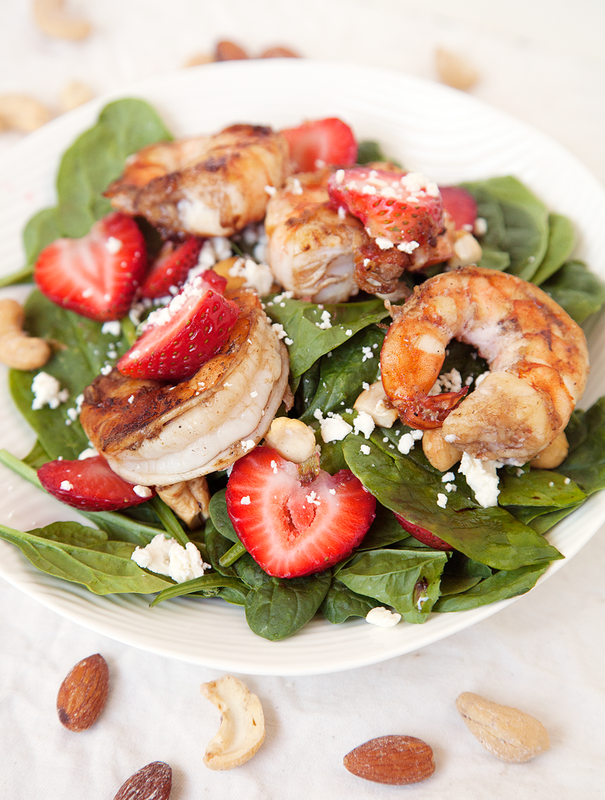 For me, the ingredients added to a bed of leafy greens gives enough flavor, especially since I’m using marinated shrimp, strawberries, feta, and nuts! Since this was my dinner, I needed a little extra protein to help fill up my stomach. I opted with shrimp, because a) I love seafood, and b) I’m not the biggest fan of meat. If you eat a vegetarian diet, I’d substitute with chickpeas or black beans! 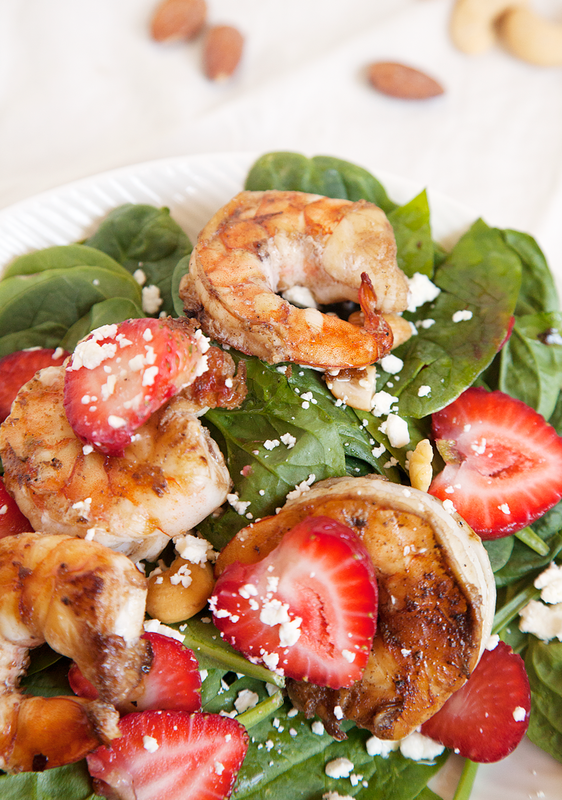 The shrimp pairs wonderfully with the tangy salad dressing, and the bright red strawberries. 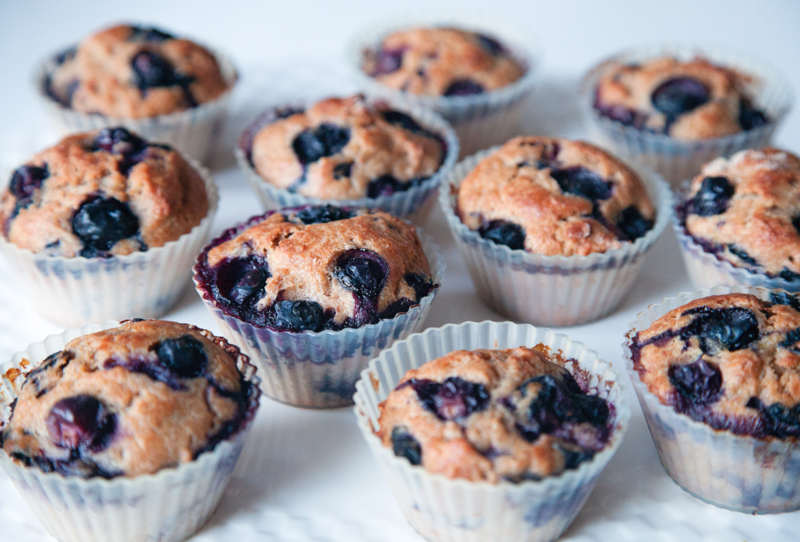 Keep in mind, even though the recipe I have listed below has exact measurements, you can always adjust the portions and substitute ingredients for each other. 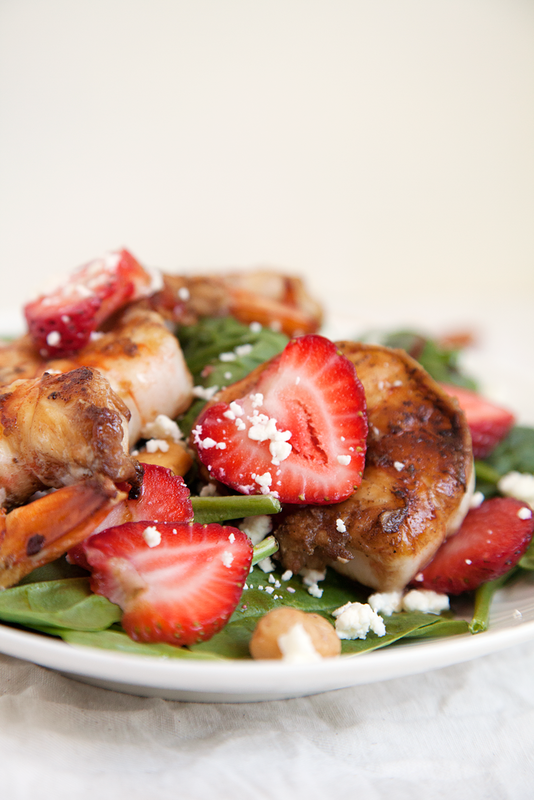 I’ve substituted strawberries for raspberries before, and this salad tastes just as delicious! 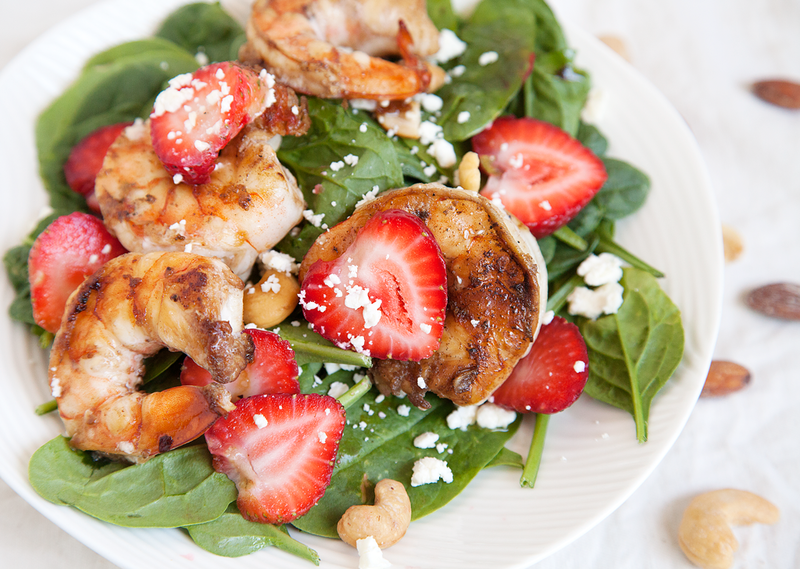 This strawberry shrimp salad is tossed in a simple, tangy lemon vinaigrette dressing. Added nuts give the salad a satisfying crunch, while the avocado gives it a smooth, creamy texture! In a mason jar, add olive oil, lemon juice, balsamic vinegar, salt and pepper, and optional lemon zest. Screw the lid on tight, and shake for about 30 seconds, until the oil is evenly distributed within the dressing. In a zip-tight baggie, combine shrimp and half of the vinaigrette. Place in the fridge to marinate for about 30 minutes. After the shrimp has finished marinating, heat a cast iron skillet to medium high heat. Cook the shrimp until pink, about 2-3 minutes on each side. 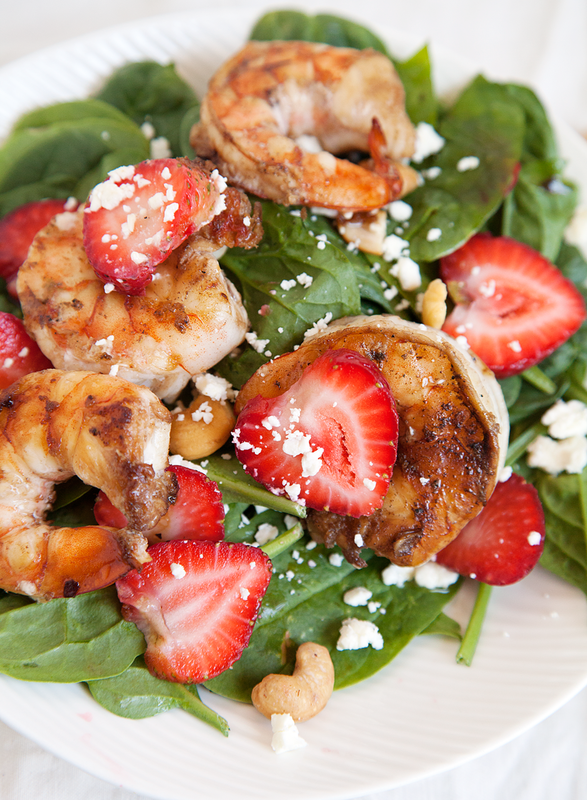 Toss together spinach, cooked shrimp, strawberries, avocado, feta, and pecans. If you are not eating it immediately, refrigerate salad and dressing separately until later use. If serving immediately, sprinkle over remaining salad dressing, and garnish with extra fruit. Enjoy!